With fairer weather now in season, lots of folks are getting back on their bikes, or buying new ones and taking to two wheeled transportation for the first time. In an effort to help avoid the heartbreak of bike-theft, I thought I’d share these tips for keeping your trusty steed safe and sound. Unless you absolutely need them, do not use quick release on your wheels or seat. If using a u-lock, the bigger a gap you leave when locking, the more likely your U-lock can be busted open with a bit of torque. Keep it tight. Avoid leaving your bike outside overnight. 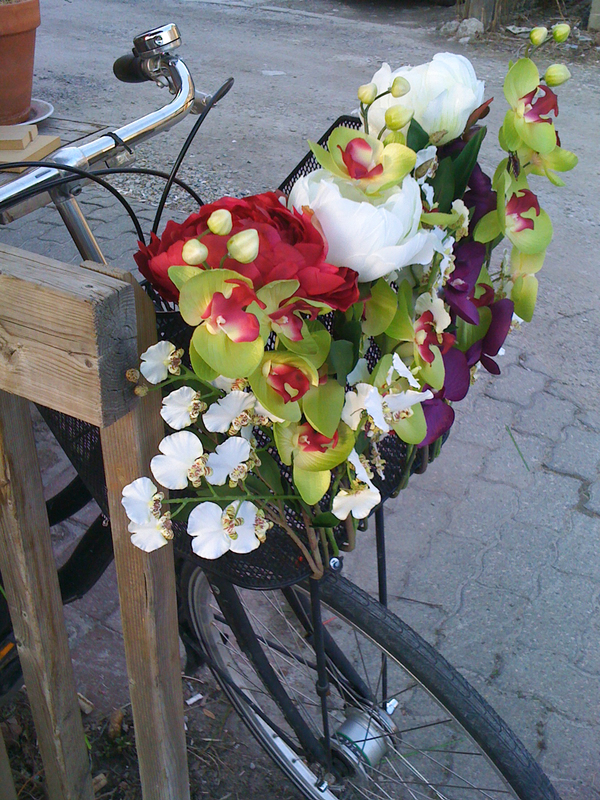 Personalise your bike: I love my flower covered basket 😉 Aside from being pretty and making me more visible, it’s also a theft deterrent. In general, it is men who steal bikes… girly flowers can help. Boys can certainly do something similar – use your imagination! Take a photo of your bike and mark down key identifying information such as the registration number (usually on the underside of the bottom bracket – flip her over and take a look). If your bike is stolen, you have the details handy and can prove it’s yours should it be recovered. 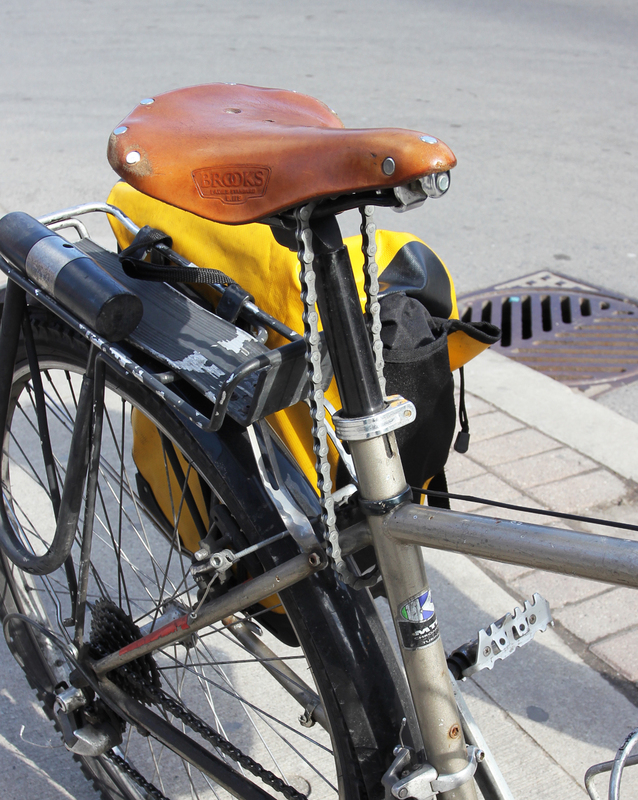 Use these details to register your bike with the Toronto Police Services Bicycle Registry. If they recover stolen property they can only return it to you if your bike is in the system. Finally, without putting yourself in harms way, if you notice someone messing with a bike, say something – even a joke will do. We can all help each other by participating in a bit of ‘Neighbourhood Watch’ style community support. Ride on. And please share this note with any cyclists you know.